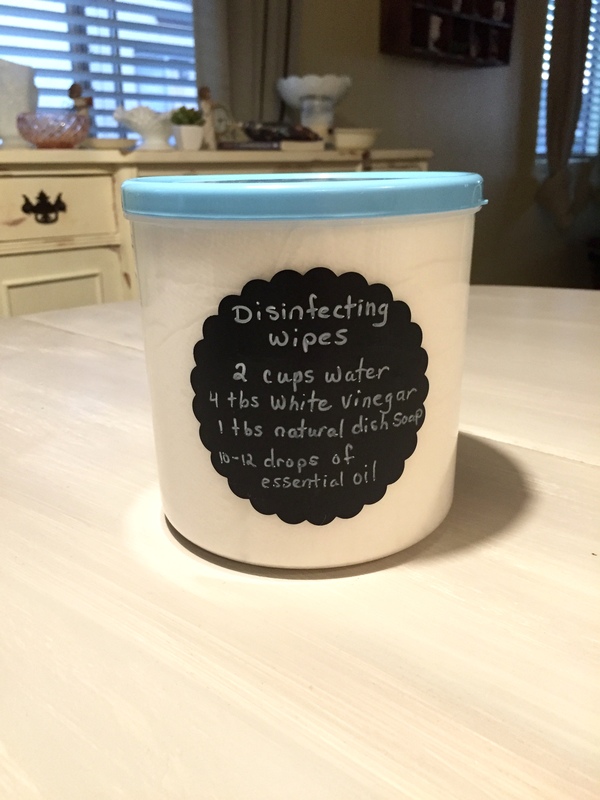 I don’t know why I waited so long to make my own disinfecting wipes. I’ve heard how easy they are to make but never really gave it a second thought. I always figured it’s just easier to buy name brand wipes from the store but if you really stop to look at the label you will find that you can’t even pronounce some of the ingredients which have been known to cause serious health problems. I prefer to use ingredients that are non toxic, natural based and safe. 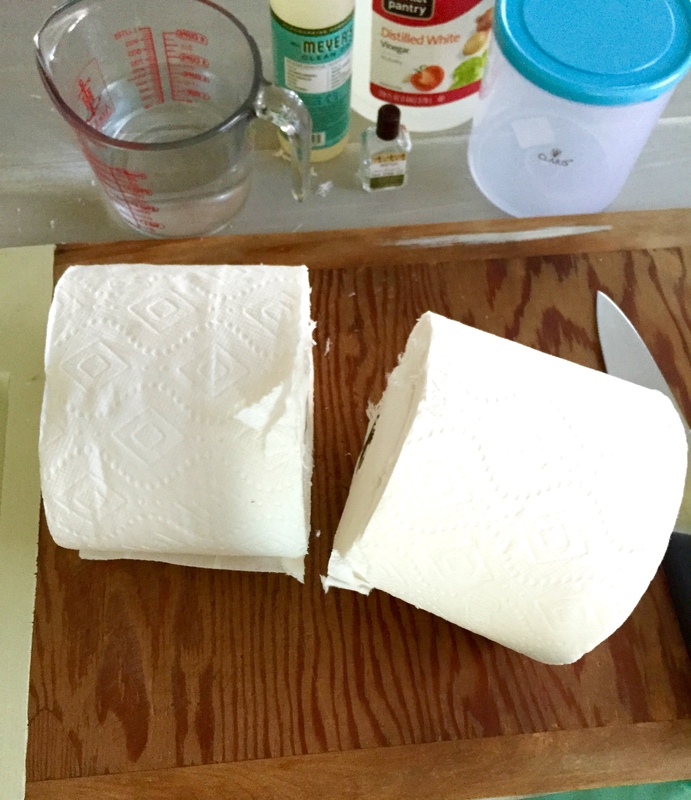 After learning how to make my own, I can’t imagine going back to store bought wipes. My goal is to simply introduce safer, less expensive and health conscious alternatives. The internet is bursting with tons of valuable information that we can use to better our lives and live happier and healthier. Some of you moms may be thinking “who has time when we can buy the stuff already made?” I totally get it because I’m a working mom too and hardly have any time to myself let alone experimenting with new recipes but when I think of all the products we use and all the chemicals our kids come in contact with it’s a no-brainer for me to want to create a safe, non-toxic environment for my family. 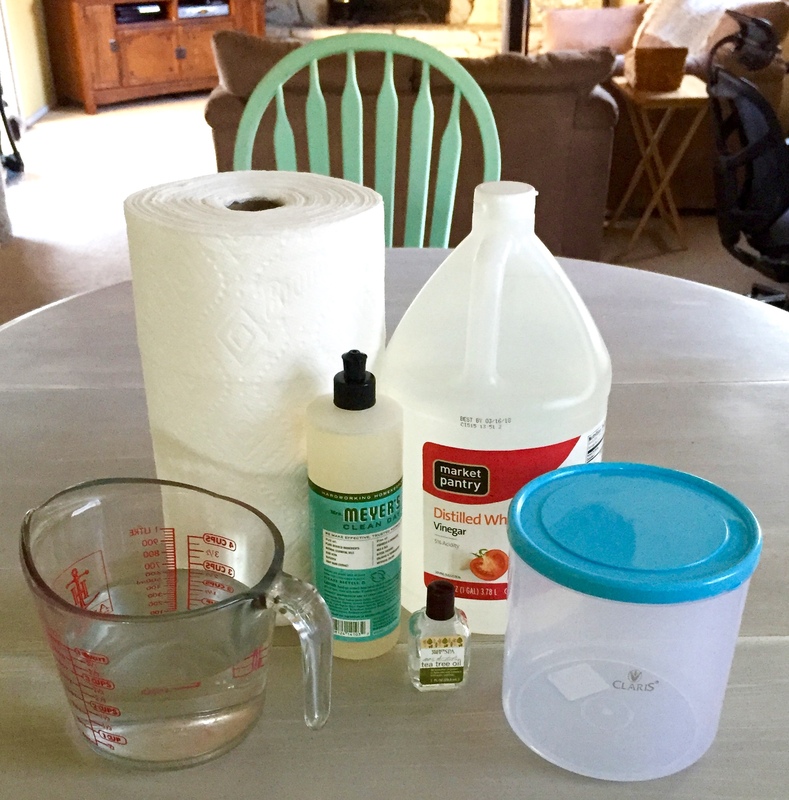 So if you are looking for ways to go green and eliminate harmful toxic chemicals from your home, I invite you to try this easy recipe I found at Live Renewed. I did tweak it a bit to my liking. You can check other blogs or websites like Pinterest where you can find an array of home cleaning DIY recipes. 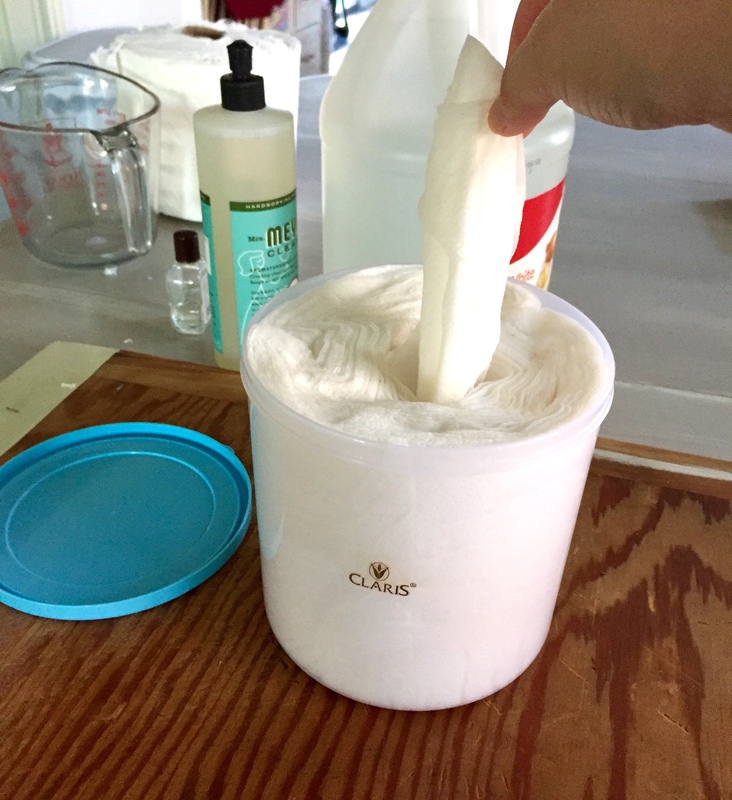 The possibilities are endless from making your own laundry detergent to your own face wipes. Happy DIYing!!! 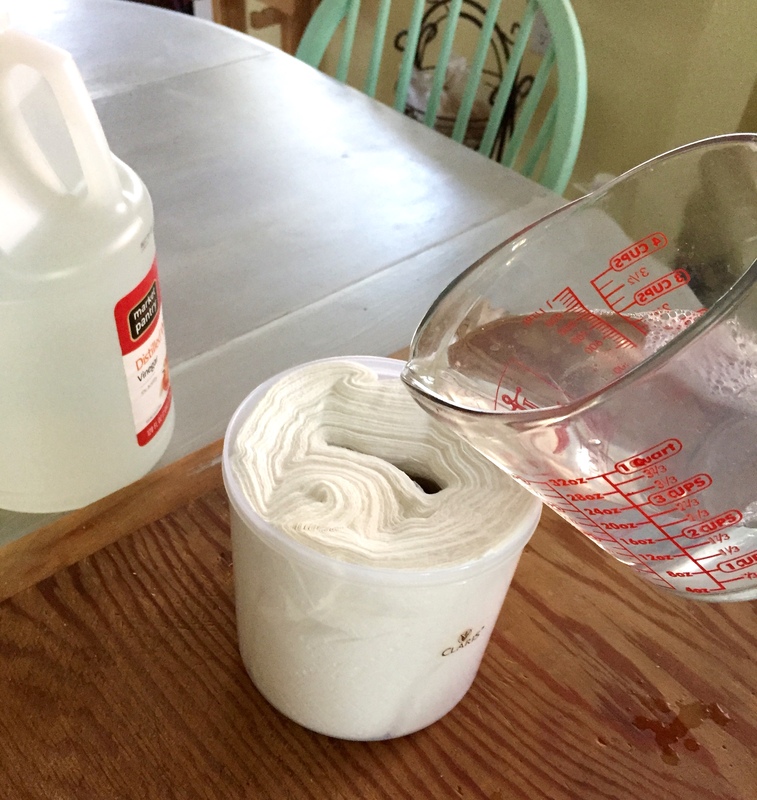 4) Combine all the liquid ingredients listed above in a measuring cup, stir then pour a little at a time allowing the paper to absorb. 5) Cover with lid and let absorb for a few minutes. 7) Wala! 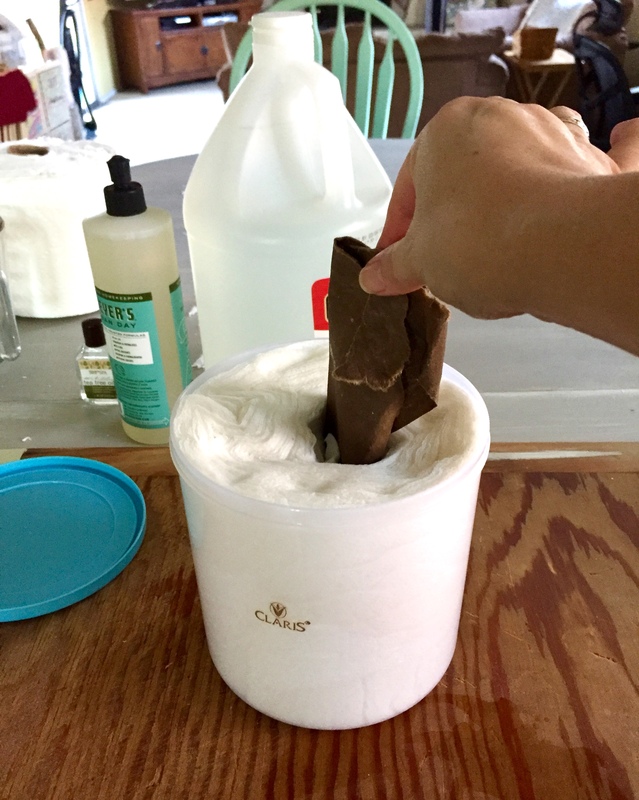 Your DIY wipes are ready to be used. Start by pulling from the center. 8) Don’t forget to add a pretty label with the recipe written on it. You can either print one up or use chalkboard contact paper like I did. Wow, this is just what I needed. I have severe issues with soaps and dyes and the other chemicals they use. This is fantastic. Now I can do this and use the ingredients I can tolerate. I too use Tea Tree oil for disinfectant. It is wonderful and love the smell. Smells clean. Thanks for posting this. You are very welcome. My mother is also sensitive to some chemicals so I can’t wait to show her how to make these. What a great post! Who knew it was that easy? I am definitely going to try this recipe! I am absolutely sure that it is not only effective but also good for health! Thank you for sharing! Since you are as concerned as I am about the perils of all these chemicals and things I think you’d enjoy georgios site. I am a nurse so I am very concerned about many things to include vaccination dangers and what’s being put into our food supply. God bless you in all your future endeavors. I love your site! IT IS FANTASTIC. You are so welcome. I’m all for natural non-toxic cleaning. It’s the safest and the best for the family. What a great idea! 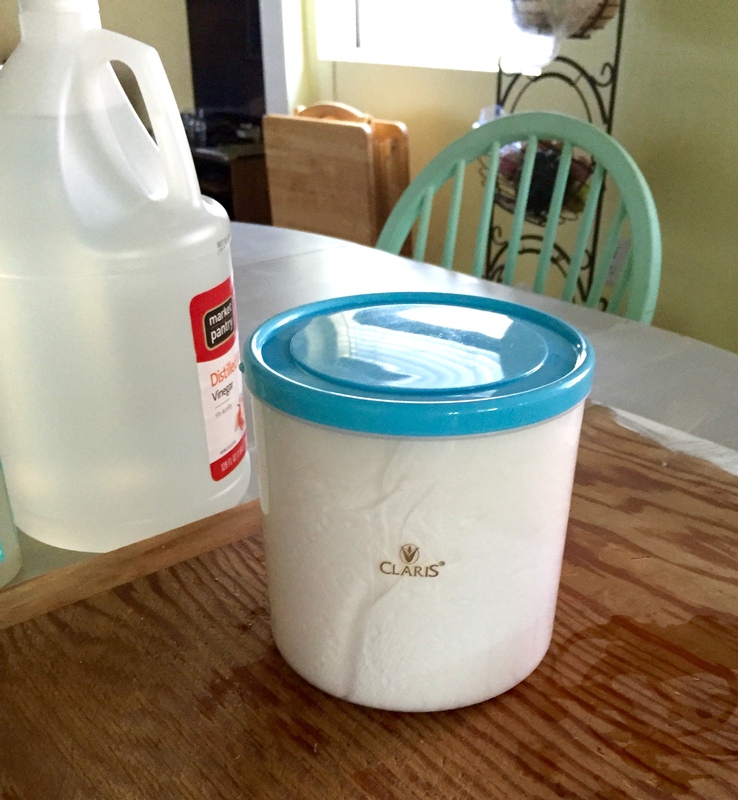 I make my own wipes but on a much smaller scale. The instructions here are straight forward and the photos are great. 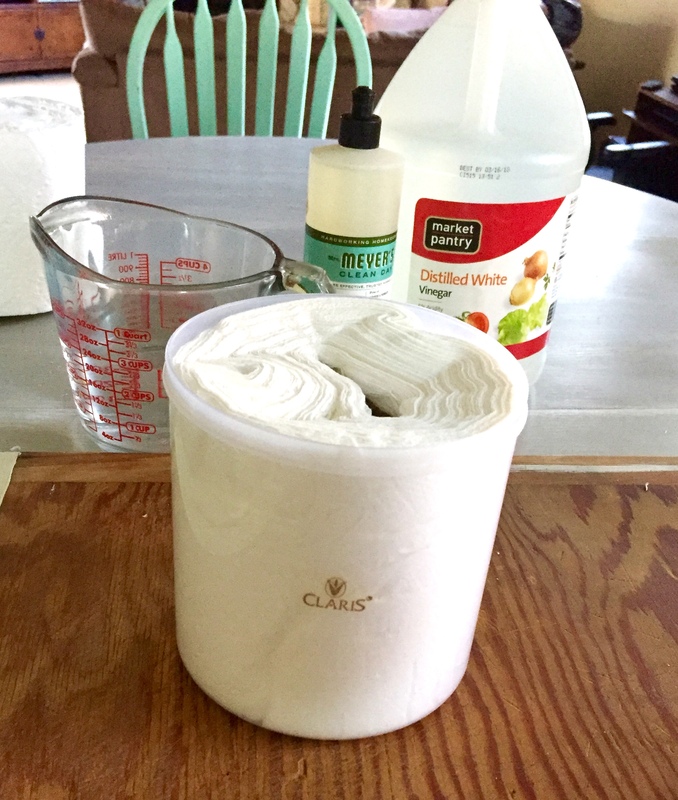 Anyone can save money by making their own wipes and staying away from harsh chemicals. Tea tree and the vinegar are good to keep the germ count low in the container as well. Good job! Thank you so much. Glad you liked my post and found it worth sharing. Where did you find the canister and what size is it? Very cool. I will definitely try this.